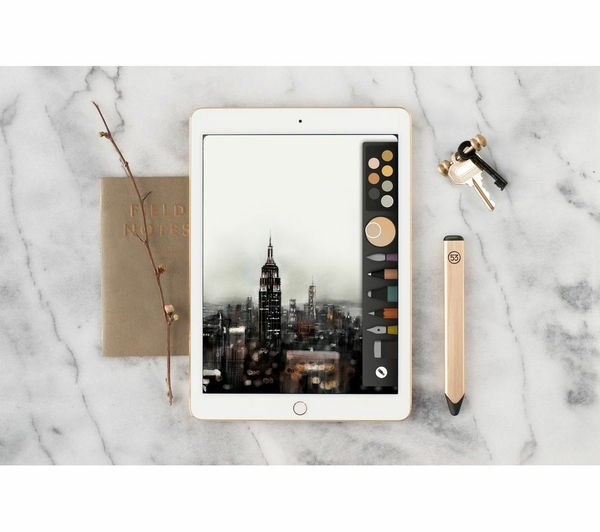 Create, draw, sketch and design with the Pencil by FiftyThree in sleek and stylish gold. 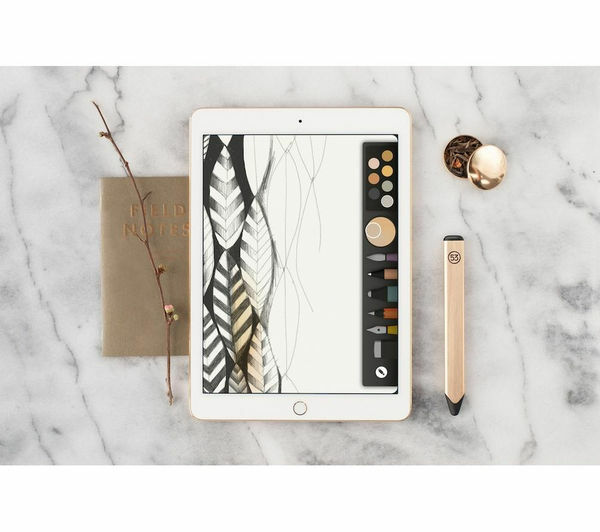 Compatible with iPad and iPad mini, the Pencil uses Bluetooth Low Energy (LE) to connect to your tablet for an enhanced creative experience. There's no need to flick through settings either, the 53 Pencil simply connects by pressing the tip on the screen. The pencil's unique tip can be used to create lines of all sizes without adjusting settings – the point is ideal for fine details, while the angled edge can be used for broad strokes. For smooth blending you can simply use your finger to create beautiful colour transitions. 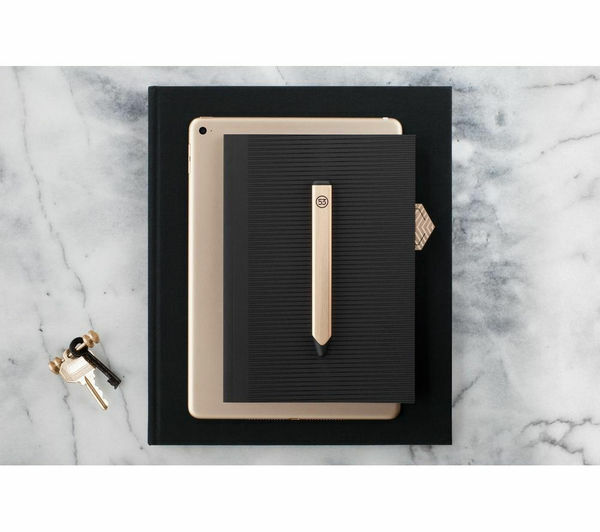 Flip the Pencil and you'll find an erase tool for eliminating any mistakes without switching tools. 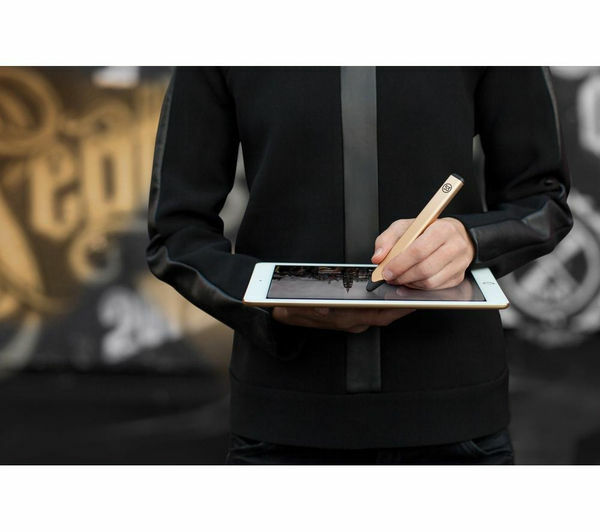 Thanks to palm rejection you'll be able to rest your hand on the screen while using the Pencil, without it hindering your work. 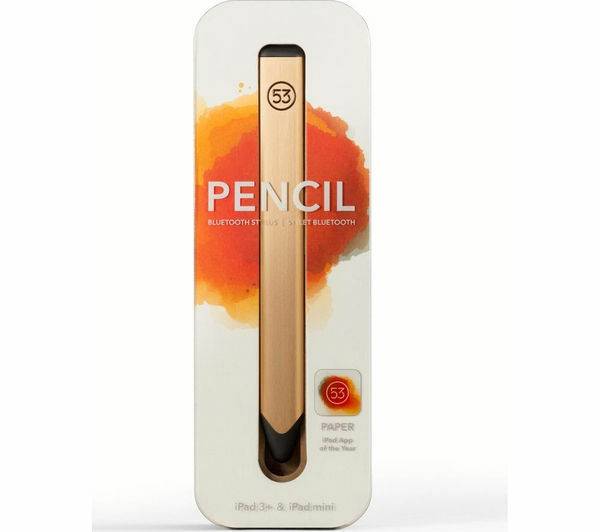 The 53 Pencil features a rechargeable battery which offers up to one month of use. 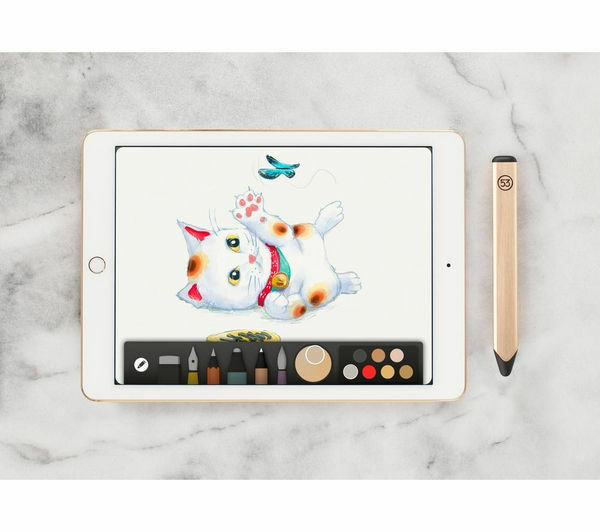 In addition to being compatible with creative apps like Paper, Adobe Illustrator Draw and Sketchbook, the Pencil can be used as a standard stylus when Bluetooth is not available. 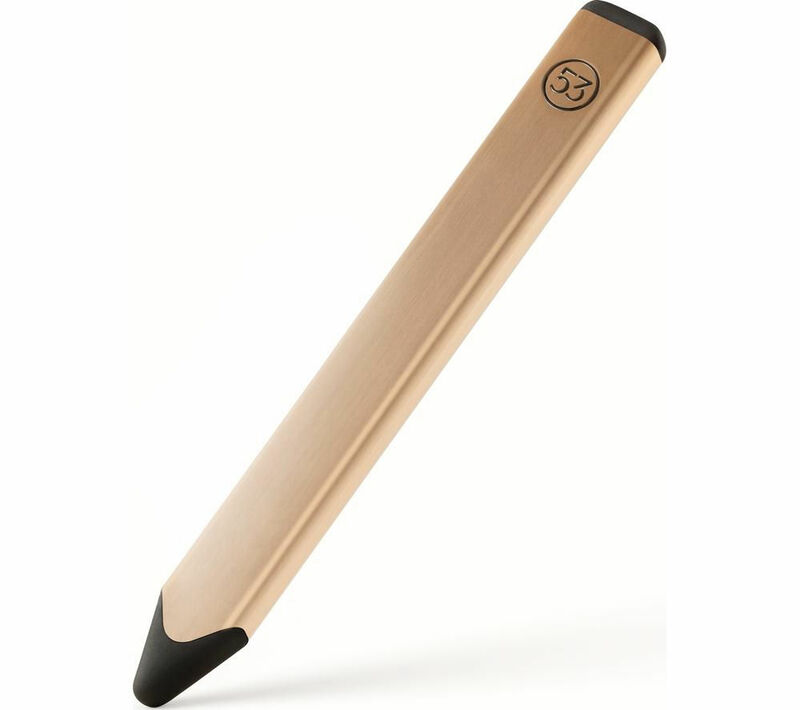 Express your creativity with the sleek and simple Pencil by FiftyThree.